The People - Milton Village Hardware, Inc.
We would like to thank you for visiting our website and we hope to see you in our store soon! Milton Village Hardware has been located at the same location at 54 Adams Street in Milton, Massachusetts since 1918! This is amazing to even us and we are proud to continue this business by operating it with pride and offering great products and services. Please look around on our website and check out some of the services we offer. If you have any questions about anything please give us a call at (617) 696-8808. Colby has grown up working in the family business at Milton Village Hardware. In 2005, Colby become a major part in Milton Village Hardware’s operations. In March of 2018, after over 50 years of ownership by his father, Richard, Colby became the owner of Milton Village Hardware. Colby has a hands on approach with the business and is the main mechanic in the power equipment repair shop. 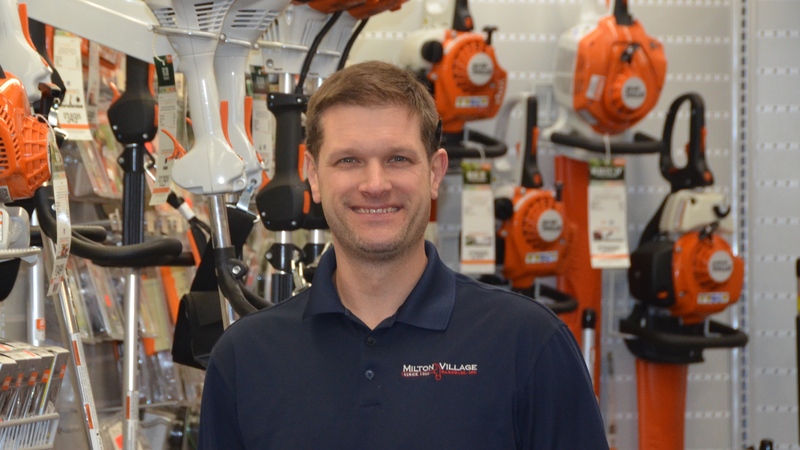 As the previous owner of Milton Village Hardware from 1967- 2018, Richard has an extensive knowledge of the hardware business and the services the store offers. He is one of the best when it comes to advice you may need on just about any project you are looking to complete. Milton Village Hardware is what it is today solely because of Richard’s dedication to the business and the pride he takes in offering a service oriented hardware store.